Short, maybe "not so sweet", but to the point! Your style may be to express yourself in the most colorful way possible. 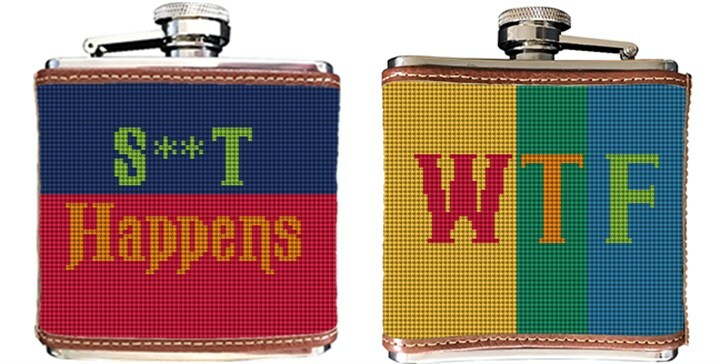 Why not put your favorite text expression on a colorful needlepoint flask. Colorful typographic text language, and blocks of graphic color make for a fun project to stitch into a needlepoint flask. Please let us know if you would like to exchange one of the messages for a monogram.